"...an enjoyable ride, made with vigorous love and creativity"
"...as this cosmopolitan documentary progresses, it migrates from cute and effervescent to seriously affecting." "Twinsters is a heartwarming true story that might not have happened without social media..."
Imagine seeing someone on YouTube who looks just like you. After some digging on Facebook, you find out this person lives on the other side of the world but was born on your birthday. Could there be another YOU out there? That's how French adoptee Anaïs Bordier met American adoptee Samantha Futerman. Captured on camera as it happened and made into an award-winning documentary, Twinsters tells a remarkable true story of identity and journey into sisterhood. Raised on different continents—with no idea the other existed—and connected 25 years later through social media, Samantha and Anaïs discover that they are identical twin sisters separated at birth. 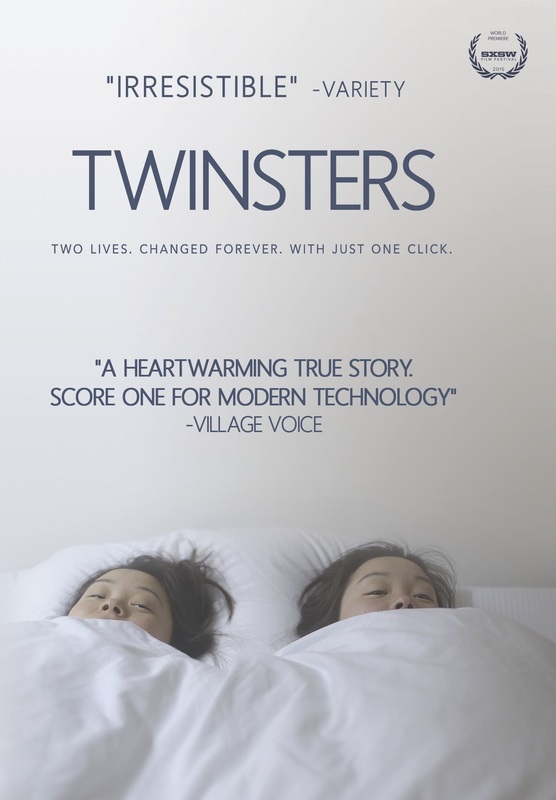 The unforgettable and critically acclaimed Twinsters will move and inspire you to consider the meaning of family in all of its forms, and inspire you with the infinite possibility of what life-changing connection might be waiting for you.